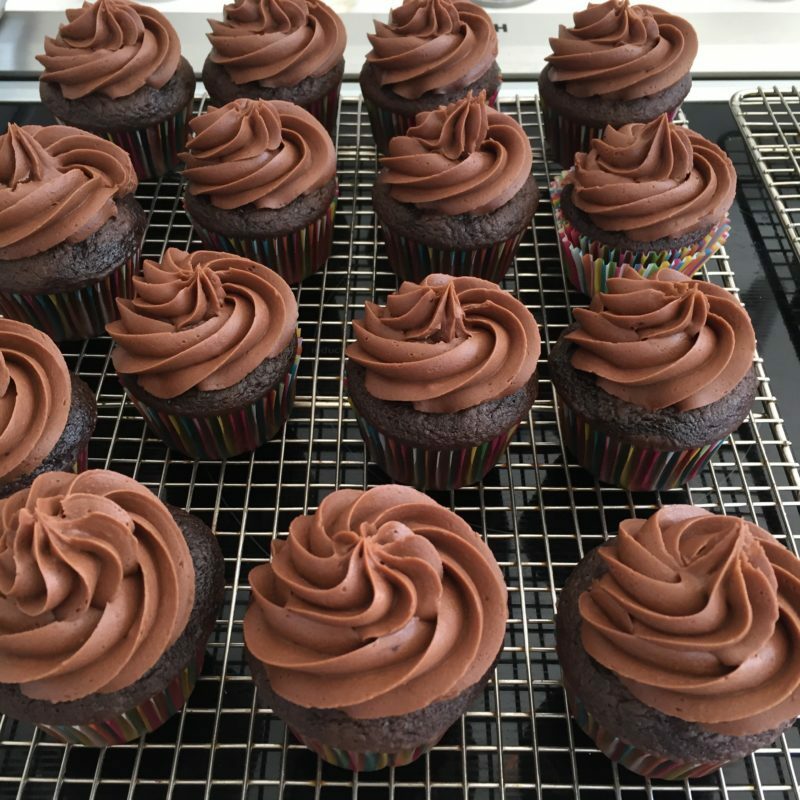 The simplest, smoothest, most luscious chocolate buttercream you can make or eat is here. Thank you Mom! 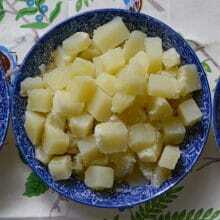 My mother is famous for many dishes, for every Lebanese delight from her lemony salad to her eggplant, Sheik al Mehsheh. She is also an expert maker of chocolate buttercream. She uses it to thickly coat a pan of brownies, and to fill and frost the chocolate birthday cakes of our Wagon Wheel Lane years. When she has witnessed her culinary school-trained daughter pull out eggs and egg whites and a candy thermometer to make buttercream, she shakes her head. There’s just no reason, she says. But these others are smoother, I say. They’re glossier. They’re more work and therefore…better? No. They often taste a little greasy, I have to admit. The Abood buttercream is American buttercream, a simple mix of butter, cocoa, confectioner’s sugar, vanilla, and a bit of milk. In the wide world of cocoa powders, my mom uses Hershey, and Hershey only. This isn’t just a matter of convenience, that she can find Hershey in any grocery store she frequents. It’s a matter of devotion. This is the chocolate her father used in his candy store, and this is the bar she stashes in her candy drawer (yes, she has one of those) for her chocolate fix. The butter is salted. It makes a difference. When I came back around to my mom’s buttercream after all of my highfaluting thermometer-egg antics, I started in with unsalted butter, the baker’s choice. But the result was lackluster. I added salt, but it just wouldn’t disperse properly and didn’t have an inherent balance. So, salted butter. Whatever butter is on sale. Now I thought, and fully intended, that this post would be about an exceptional homemade chewy, fudgy brownie to serve as the platform for my mom’s buttercream. 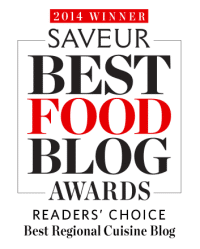 I’ve been anticipating a post about those brownies since the get-go of my blog. However: the brownie recipe does not exist. Except in the form of a boxed brownie. I have searched high, and I have searched low, and I have baked countless batches of homemade brownies. My summation, as dictated by my own Mom’s kitchen, is as follows: Duncan Hines. We don’t go for too many things from a box. There are Triscuits. There are brownies. We go ahead and take the hit here, in favor of the chewy interior, the glossy crackly crust that has not been matched by any of our homemade (if you have the recipe, by all means, do share, but I tell you we may still be skeptical!). 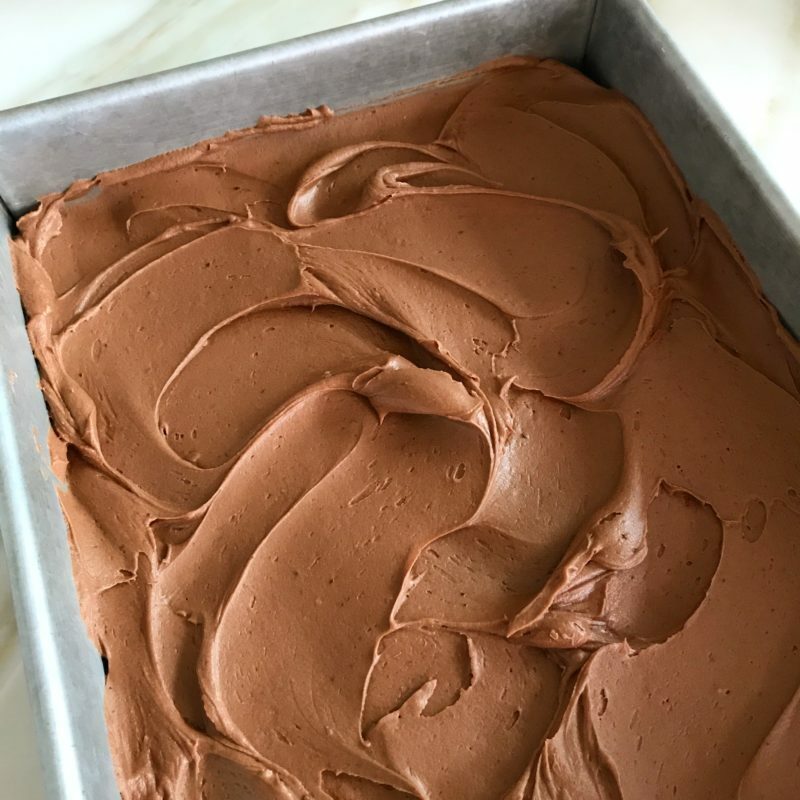 If my mom shows up with a pan of her brownies and they aren’t frosted, she greets a family of crestfallen eaters–just as the family of birthday cake eaters have felt during our recent winter birthday cake season. My brother Chris was especially stunned when, on his own birthday, the massive chocolate frosted cake I baked was covered with a buttercream that did not match our mother’s. I had taken the huge batch of frosting to the stand mixer, which gave it a completely different texture. It’s like mousse, he said with disdain. It’s light, he said with a what’s-wrong-with-you look in his eye. Okay, okay. I had to agree. And for once, after all of the cookbooking and blogging that is a hound of recipe improvement, I finally just accepted the recipe as it stands, the truly delicious thing that is my mom’s thick, rich chocolate buttercream. I used it for my own chocolate birthday cake last week, and we all agreed (even Chris, after he gave it a thorough inspection): yes. That’s it. That’s So Good. 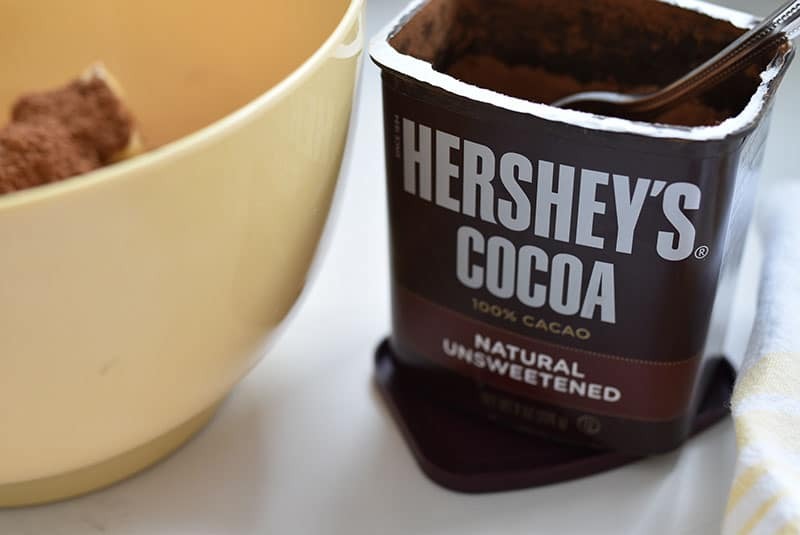 Put it on any darn brownie or cake you like. Or join me in my favorite way to eat it: off my finger, from the bowl. Frosts one 8-inch double layer cake, one 13x9x2-inch pan of brownies, or several dozen cupcakes (depending on how thickly you frost). In a medium mixing bowl, stir the butter and cocoa until very well combined. If the butter isn’t extremely soft, this requires some elbow grease. 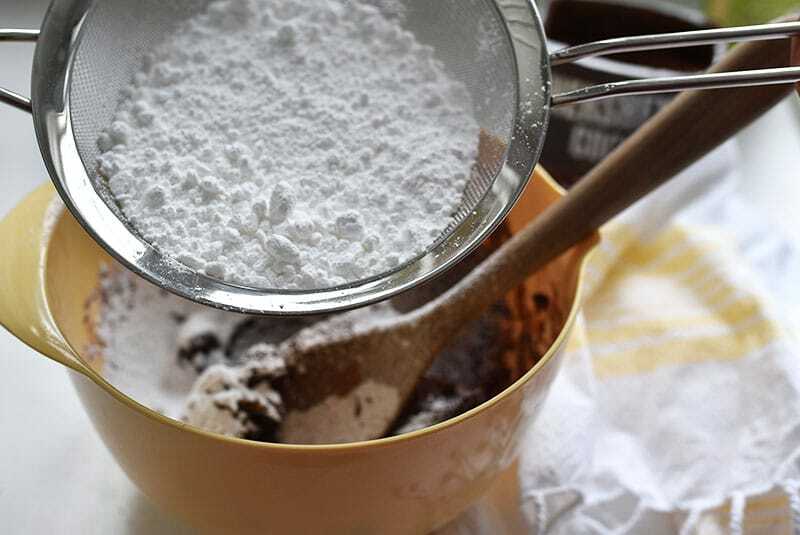 Sift the confectioner’s sugar into the bowl, one cup at a time and mixing after each addition. After each cup of confectioner’s sugar, add some liquid, starting with the vanilla and then adding milk one tablespoon at a time and stirring well after each addition. Stir until the mixture is well combined, smooth and spreadable. If the frosting is too soft, add more confectioner's sugar. If it's too thick, add a touch of milk. Oven-Fried Chicken Wings with Spicy Za’atar Meatless Recipes. Lebanese Style. 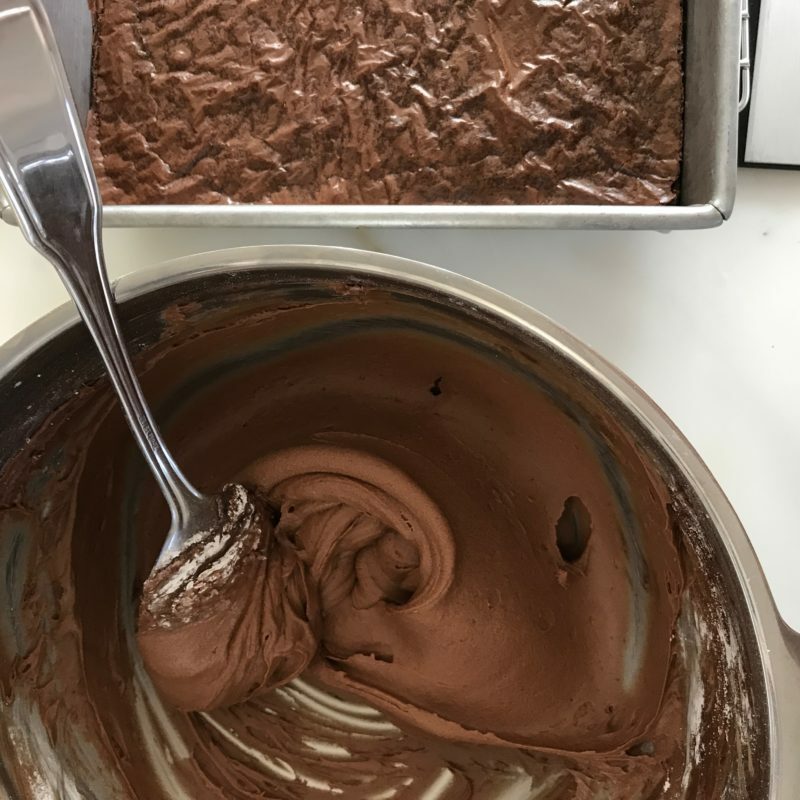 26 Responses to "My Mom’s Chocolate Buttercream (for brownies)"
No mixer at all? Hand stir? Wow! That’s dedication to a family recipe. Thanks for sharing! That is the one my mother used. As a child I believed that there was no other chocolate icing recipe on earth except this one. I still use it, 68 years later. What a precious story, Maureen! Love it–and the chocolate recipe. Got to try it ! This looks delish! Can not wait to make them! I don’t know if it is the nostalgia of childhood or just a fact that chocolate butter cream, American style, tastes infinitely better than European style butter cream. But it is certainly my preference. Our choice of cocoa was Drostes, we scorned Hershey’s as bland and boring. Now adays, Droste’s is criticized as one note. I don’t know, I also like Ghiardelhi’s and Black & Green cocoa, for instance, but for me, nothing beats Droste’s cocoa, and I will go to great lengths, and expense, to get it. Such is the power of tastes imprinted during childhood. Suggestion: your chocolate frosting looks grainy. I always heat my milk and/or cream, to be sure that the powdered sugar and cocoa dissolves smoothly. Susan, I can NOT wait to try the warmed milk for a smooth effect!!! Thanks a million! As always, it was a delight to check in and find your generous and delicious prose awaiting me, fresh out of the oven. This is so great Tom! Thank you for your wonderful note! I just had to laugh because this is how my mother (now 96) makes her brownies, and yes, after years of being a “from scratch” cook, Duncan Hines’ brownie mix is still the best and MY mother’s go-to for a chocolate fix! And always covered with a buttercream icing. Real feel-good food! I agree regarding the salt; soo flat without it. Duncan Hines are great brownies but I adore the Cook’s Illustrated brownie recipe. It’s not overly fudgy, but definitely delivers a satisfying fix. I have to say that your chocolate chip cookie recipe is the best. Ever. I was never a big chocolate chip cookie fan until I made yours. The browning of the butter does the trick. I use a combo of dark and white chocolate chips. If you can find Guittard white chips, they are best, I think. And kudos to your lemon salad dressing! It’s our “house dressing”. Also love it with rice vinegar. P.S. Was in Edwards CO at a bookstore last July and there on the shelf was your book on display, front and center. Love it! So neat!! Thank you Peggy! This recipe is really close to the Wilton buttercream recipe, which calls for 1 cup butter and 1 cup shortening–heresy–I only use butter, salted, in buttercream. Can’t wait to try this one. Also I have a brownie recipe I got in grad school that I will post when I get home. It is flawless and it is better than anything out of a box. I’ll post a photo of the recipe on your FB page. very tattered and battered copy of my grandmother’s favorite Cuban cookbook. Woe to anyone who tries to “improve” any of those recipes! 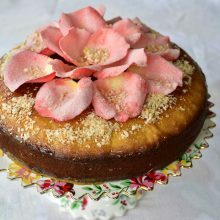 Nothing beats her butter cake and, oh, the memories that cookbook holds! Lovely post, as always! They’re falling-off-a-log easy – but I can’t wait to ‘improve’ them with this frosting! 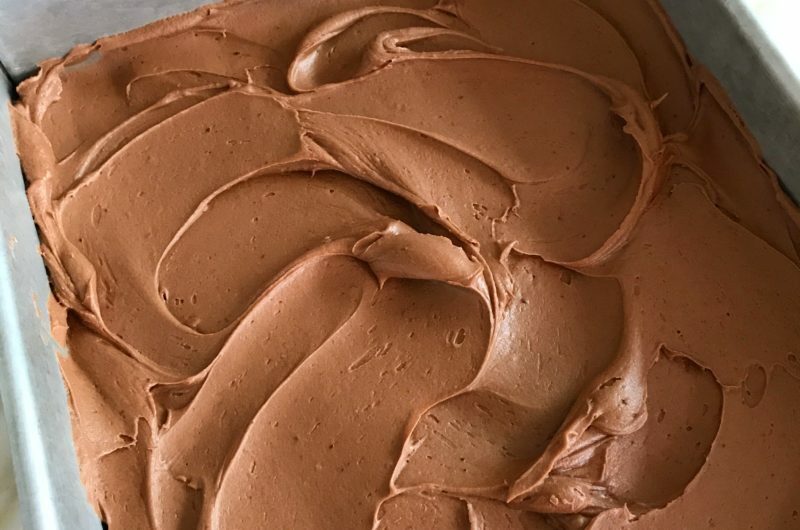 This is THE BEST CHOCOLATE BUTTERCREAM IN THE HISTORY OF CHOCOLATE BUTTERCREAM. Maureen, about heating milk/cream for chocolate butter cream frosting: I don’t just warm it, I scald it . 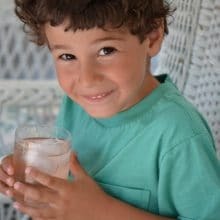 Warmed milk isn’t as effective, due to the low ratio of liquids to solids. Sometimes I melt some of the butter as well as liquids before creaming, and let it come to room temperature and thicken up before proceeding. The results vary with the latter method, heh heh. But frosting tastes much better when it is all smooth. Also, I have a private theory, based on no known scientific facts, that scalding milk changes the flavor, and the milk is sweeter. I always scald milk for cocoa. Unfortunately, I have never mastered the technique of scalding milk in the microwave. I have childhood memories of my mother leaving milk unattended in a sauce pan over high heat, for her daily ritual of boiling milk overflowing the pan as she left it you attended to scald for her morning cocoa. She burned out a lot of stove top burners that way, and of course boiled milk in a standard stainless steel sauce pan is a hell of a mess to clean up. Oh, sorry, autocorrect. “You attended” was supposed to be “unattended”. The only recipe my mother and older sisters ever used. It’s much like eating fudge! Thanks Marie! I just made cupcakes and piped this buttercream high on them–check out my instagram or facebook page–SO beautiful and so so delicous.